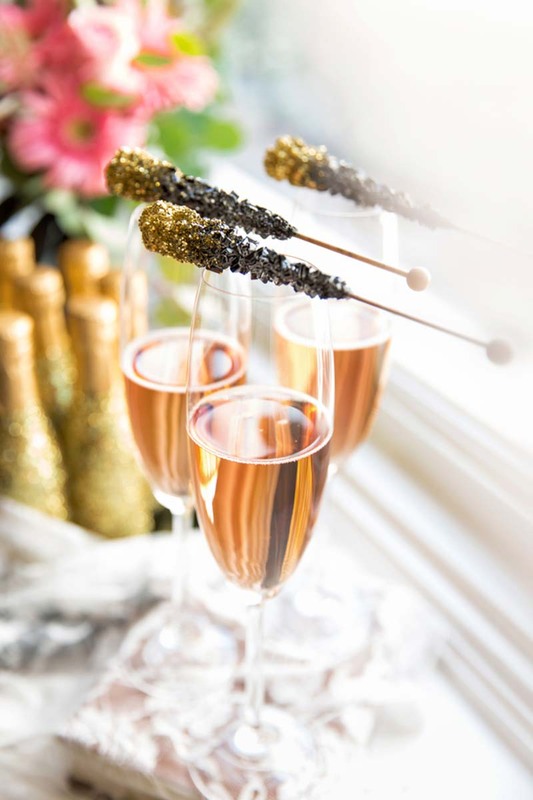 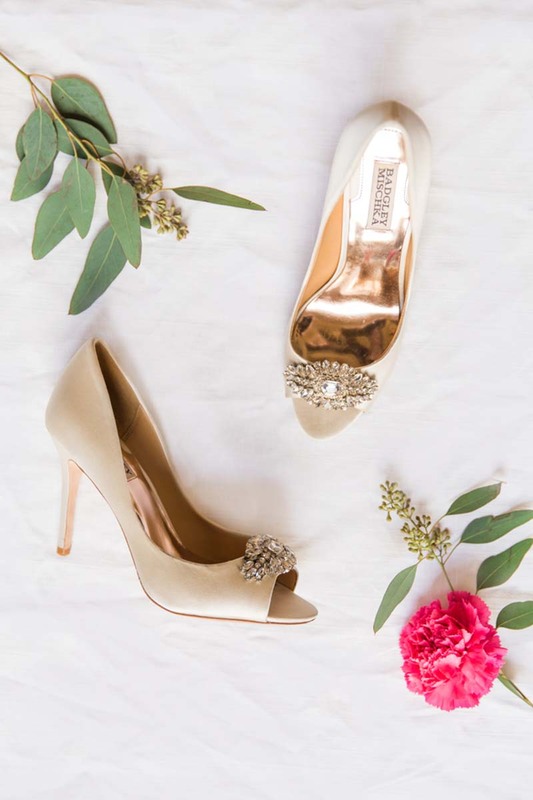 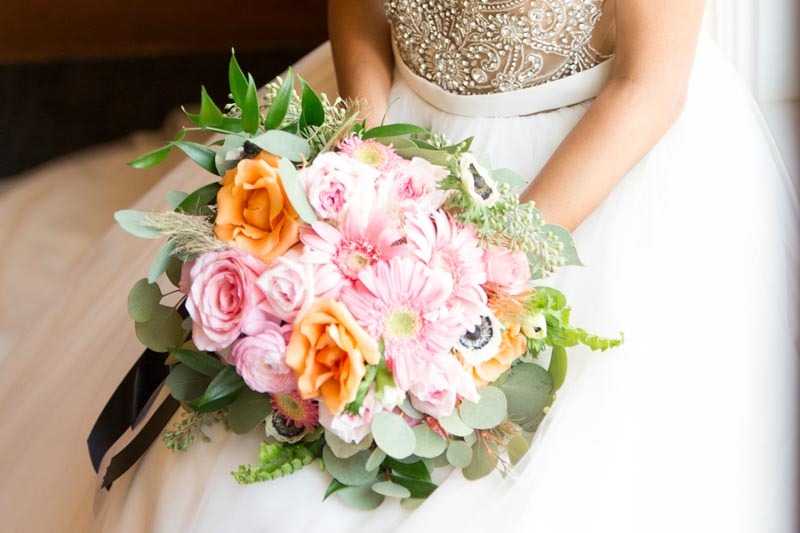 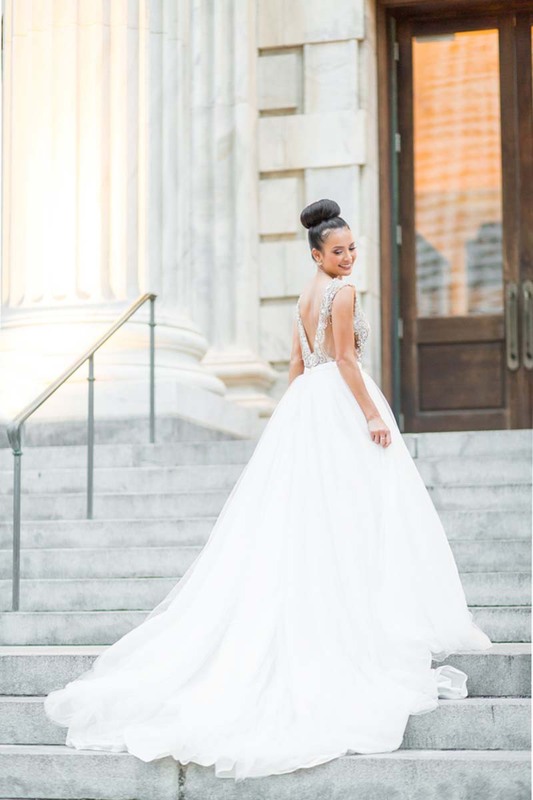 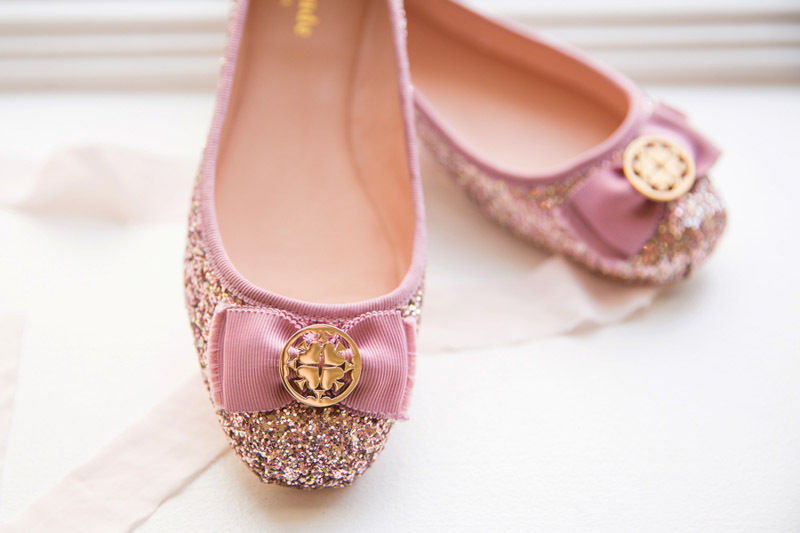 This Kate Spade-inspired shoot wasn't short on glitz and glam! 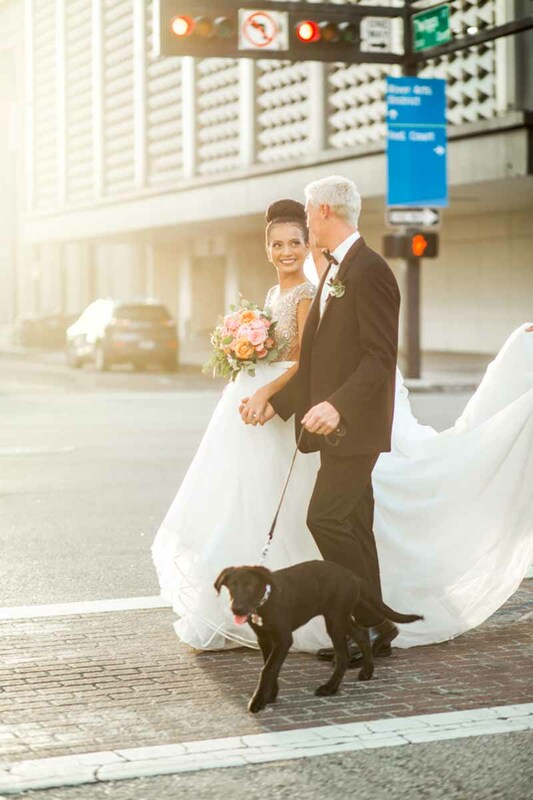 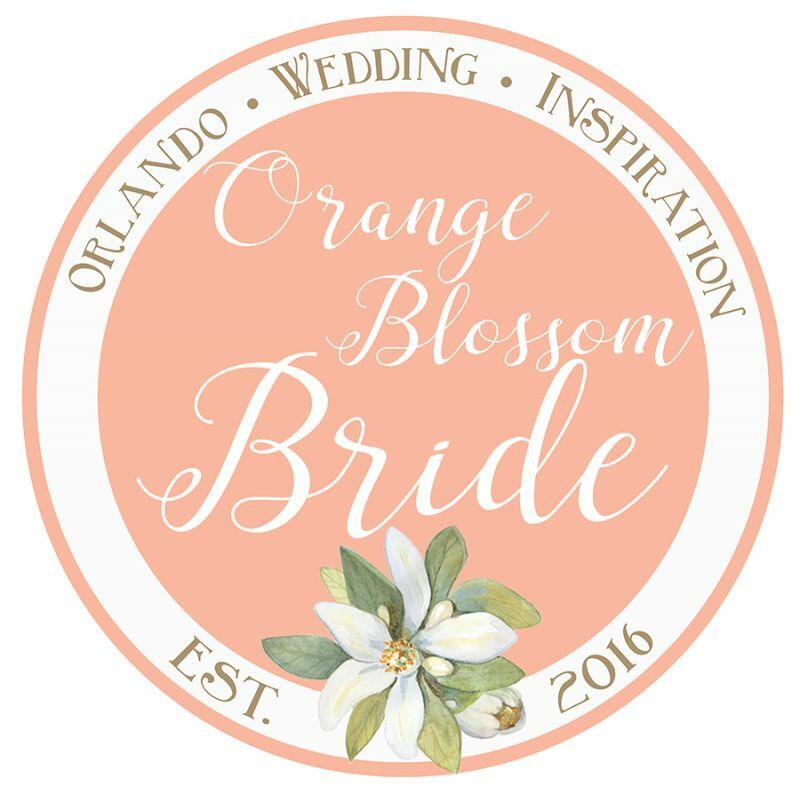 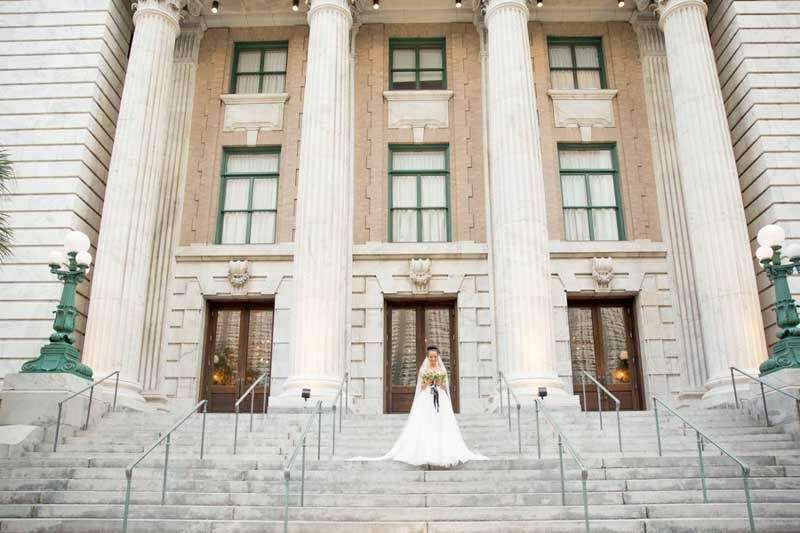 Le Meridien, located right in the heart of Downtown Tampa, created the perfect setting for a day full of color and creativity. 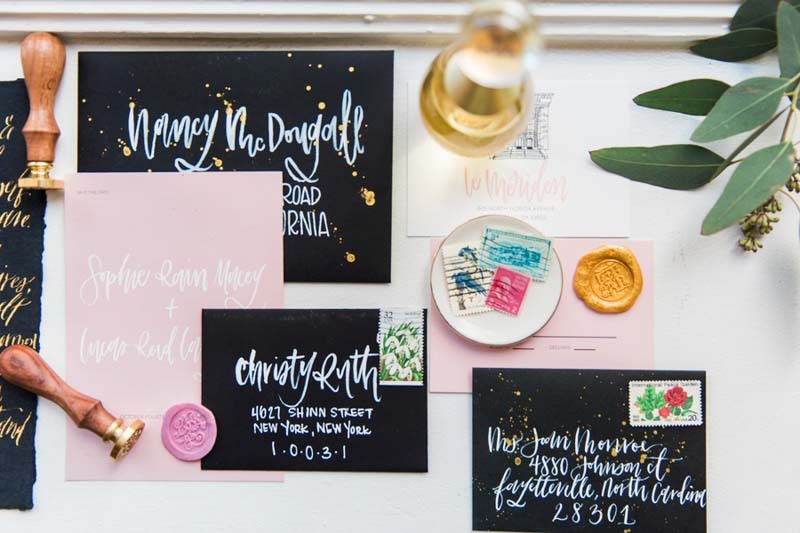 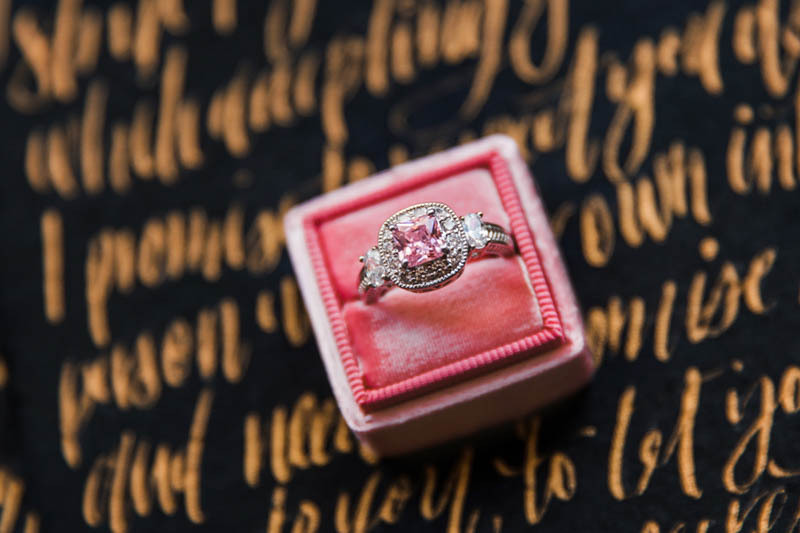 Calligraphy invitations were flecked with gold paint and sealed with wax stamps, and glittery Kate Spade flats shined in the sunlight. 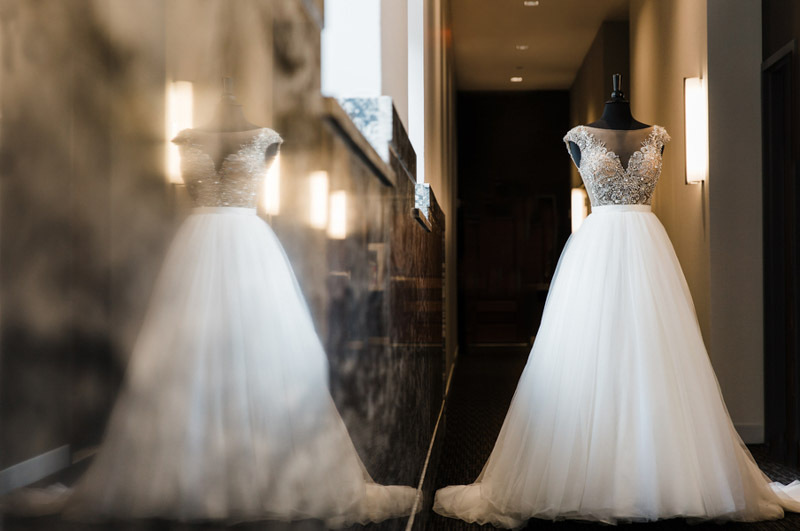 The bride's gown sparkled, too, with an intricately beaded top and a full, flowing skirt. 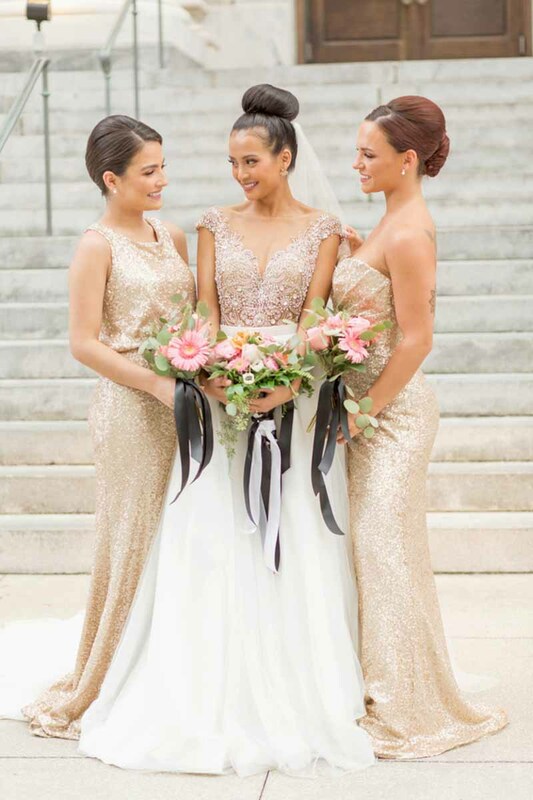 Even the bridesmaids were dressed head to toe in gold sequins! 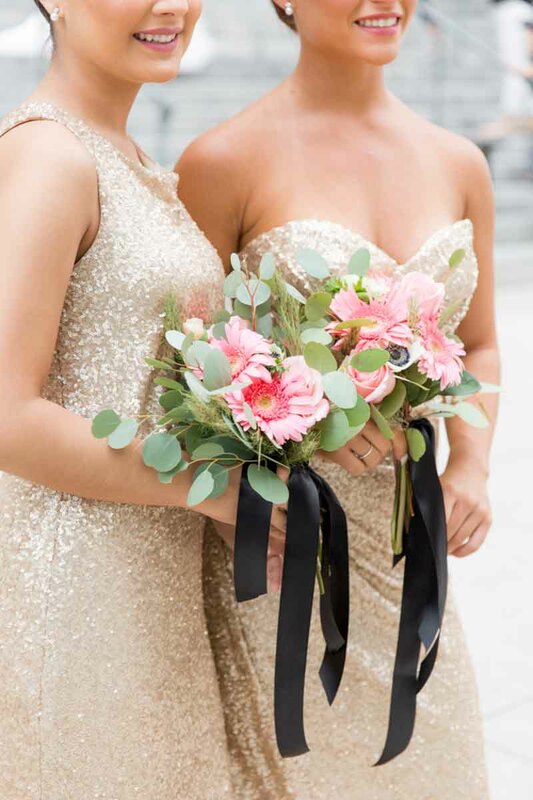 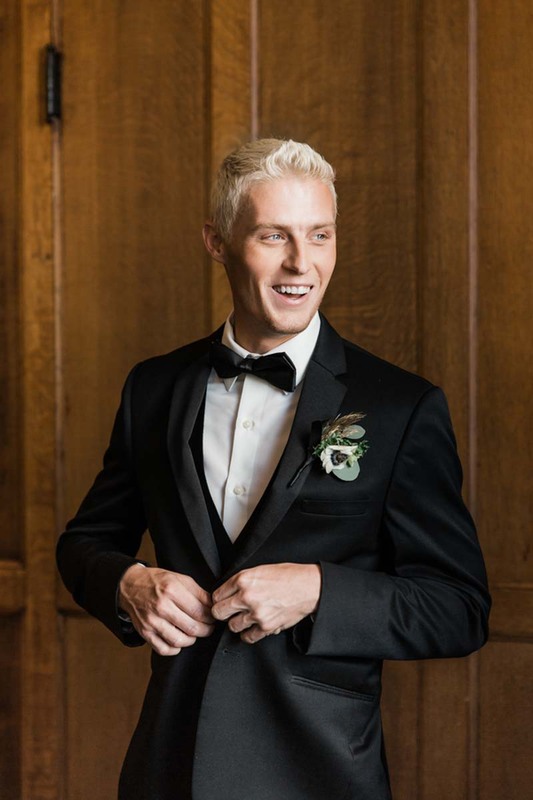 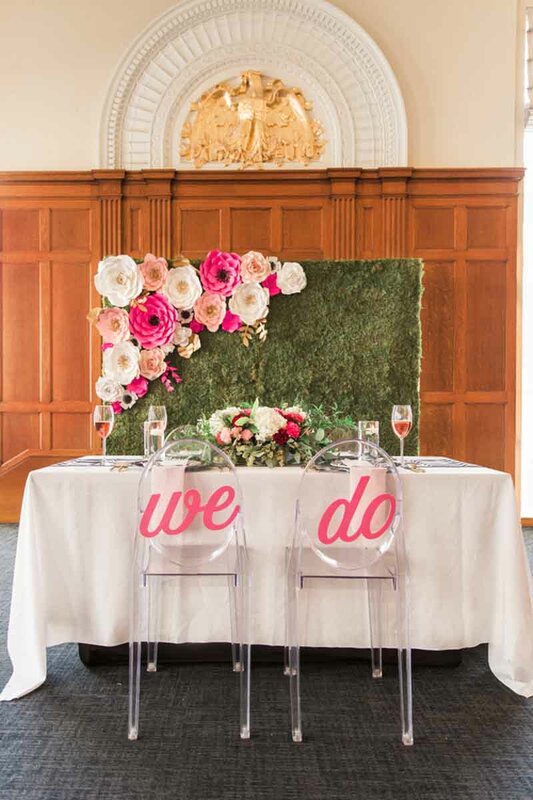 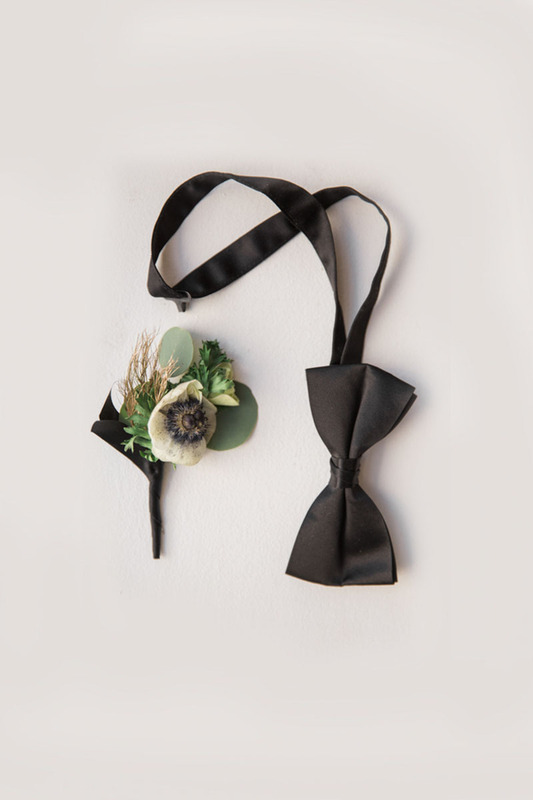 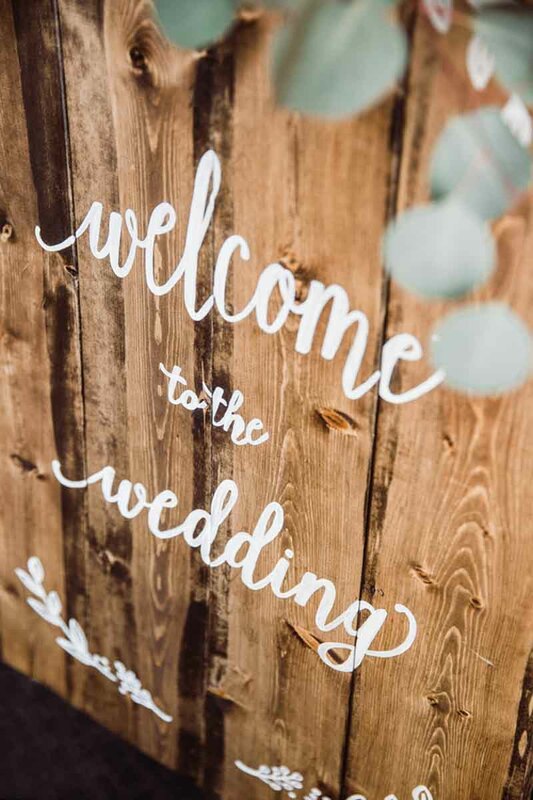 Pinks and blacks ruled the day, from the getting ready robes to the florals and all the way through the reception. 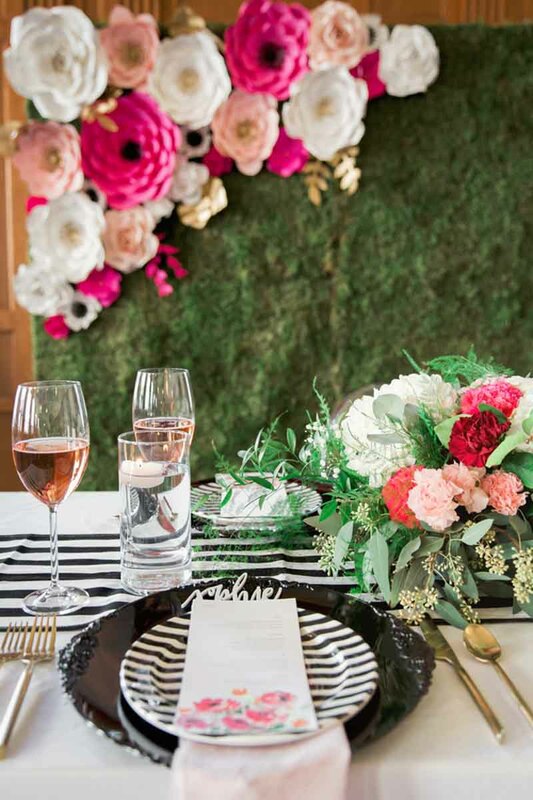 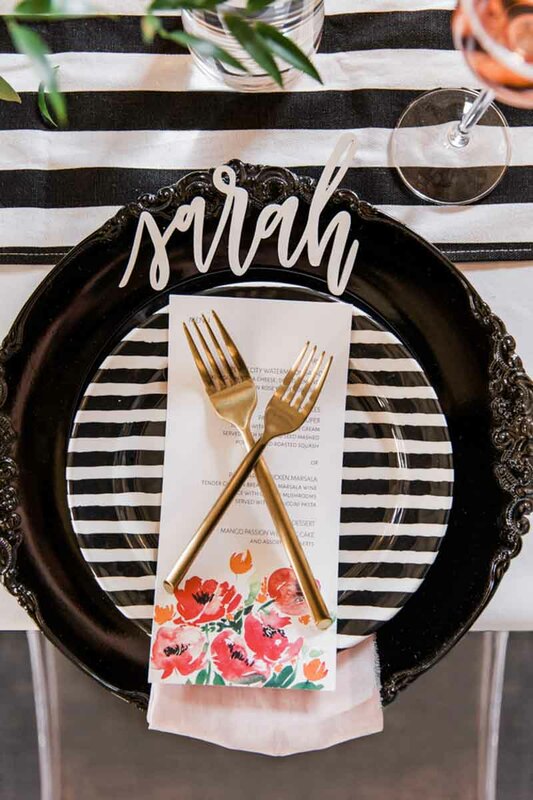 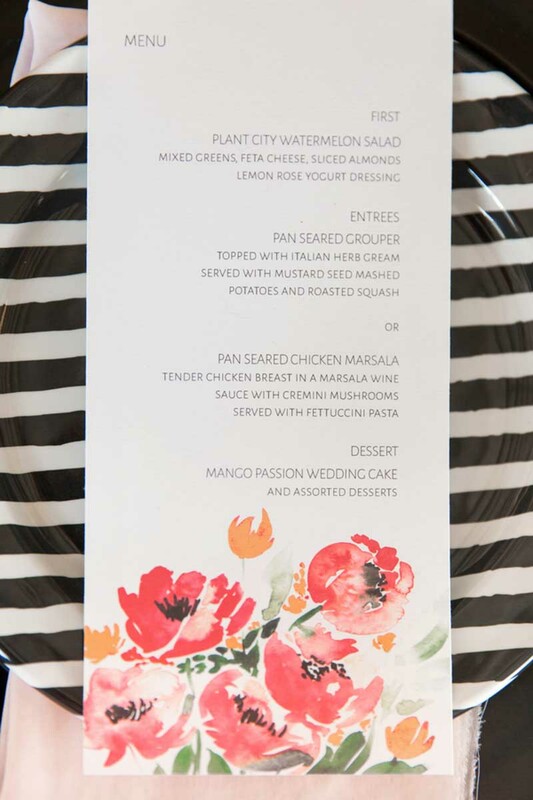 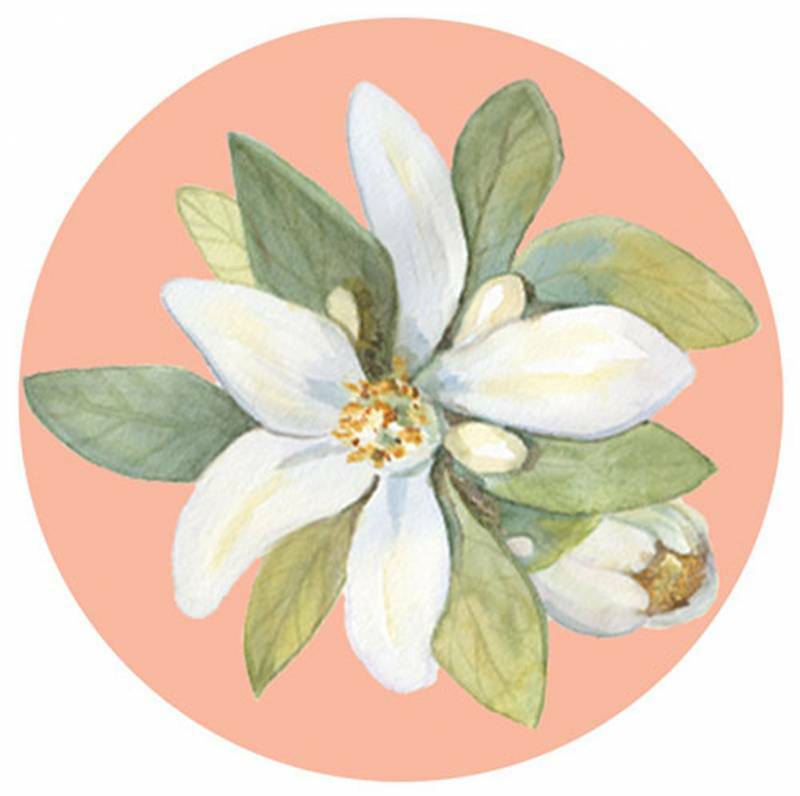 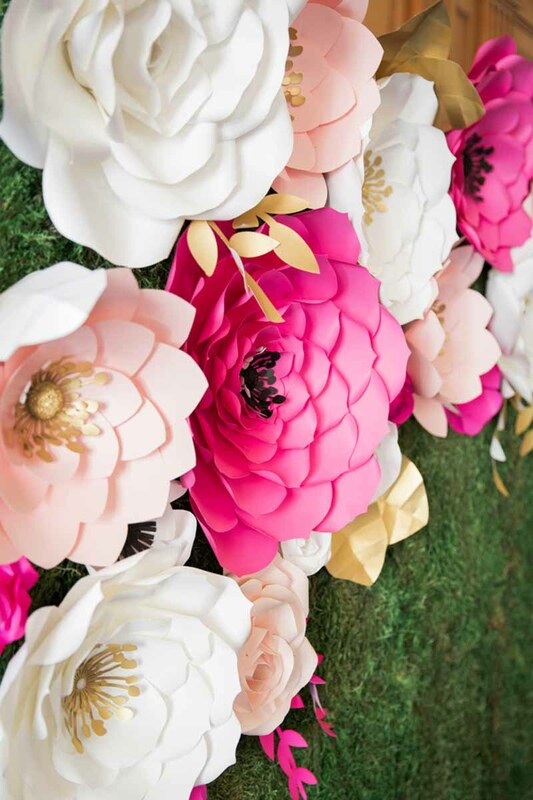 Paper flowers covered the backdrop that stood behind the sweetheart table, which featured classic Kate Spade stripes on the plates and runner. 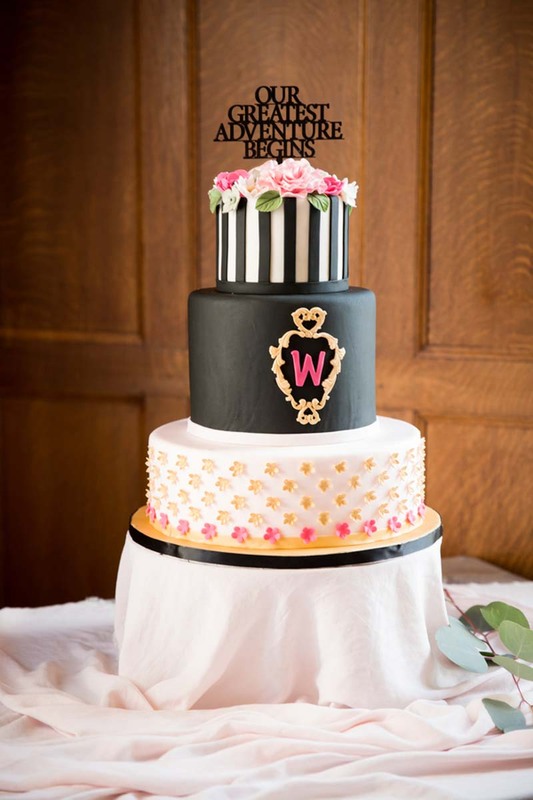 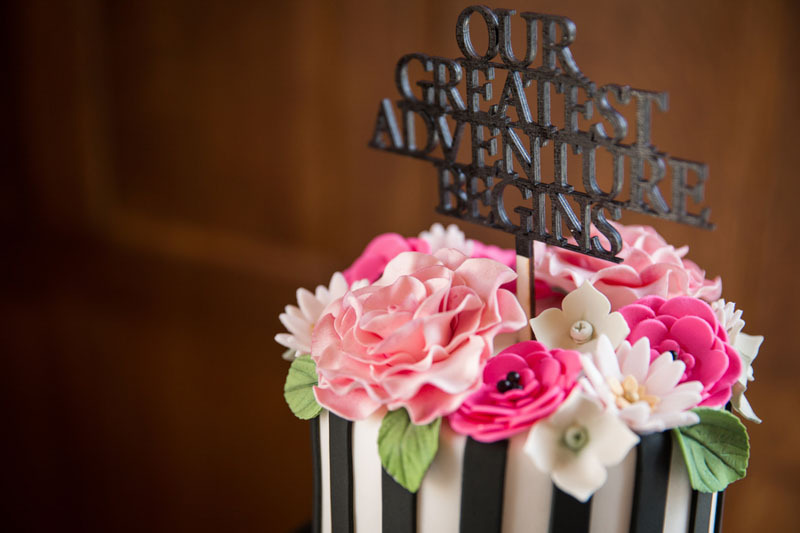 The cake looked almost too pretty to eat, with pink, black, and gold fondant and a cake topper that read, "Our Greatest Adventure Begins." 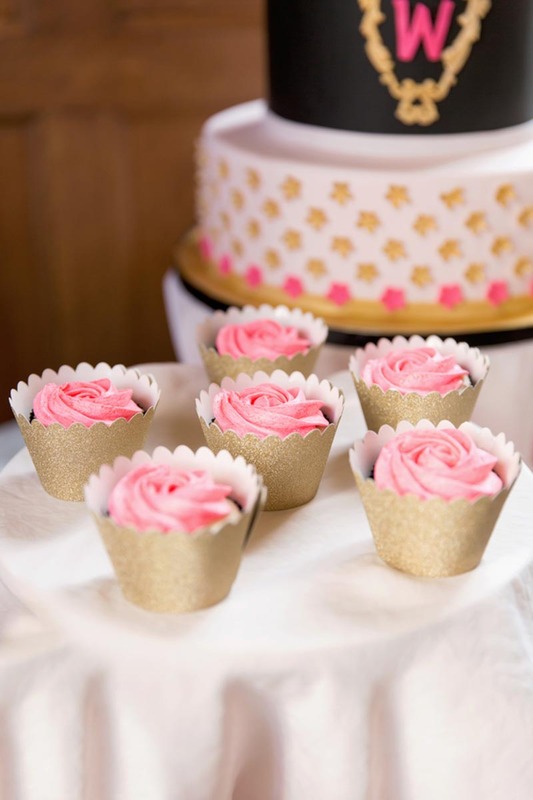 It was accompanied by other sweet treats, too - cupcakes with rose-like icing and glittery rock candy. 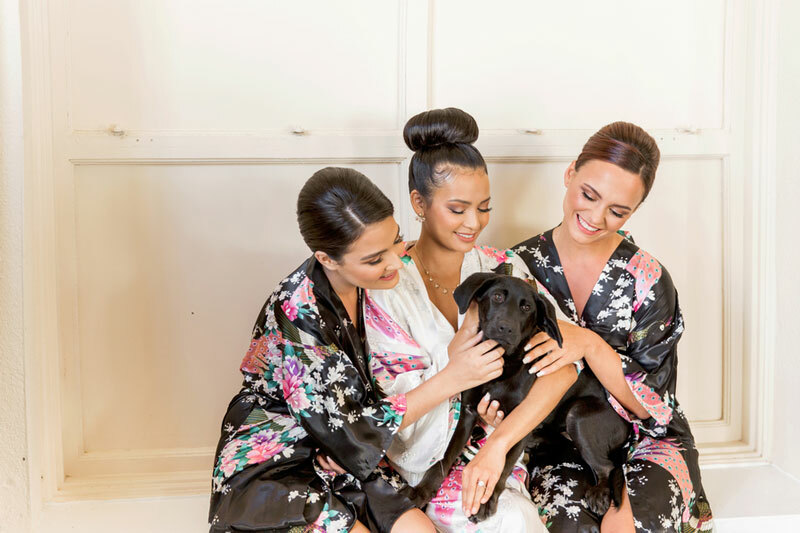 Of course, the real show-stealer of this shoot is the adorable black puppy that joined in on all the fun!